Anyone have a decent 2020 for sale? I've been considering selling mine but I can't bring myself to do it. 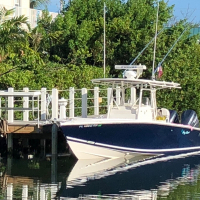 It's a do-all boat that's built like a tank, fast, runs skinny, gets through chop better than a 'normal size' flats boat and has the layout/storage great for charters. You'll love it when you get one.